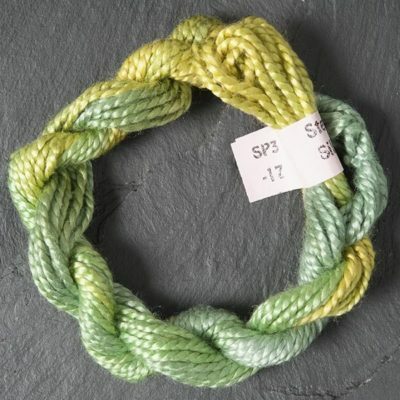 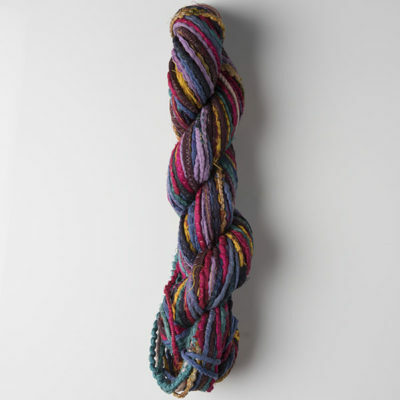 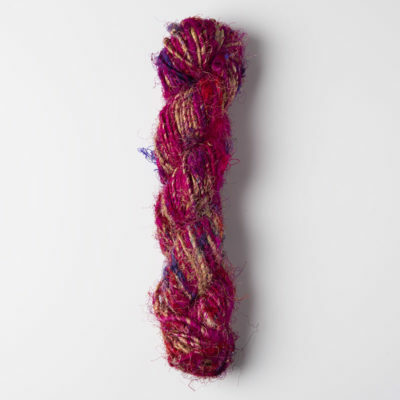 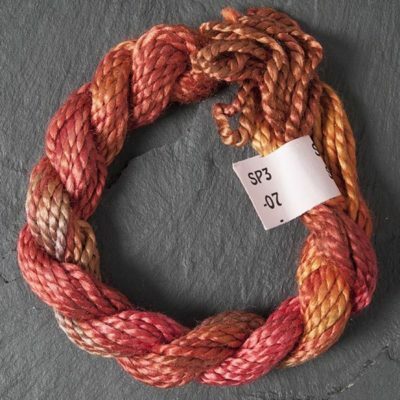 Sari Silk Cord is the latest introduction to our Sari product range. 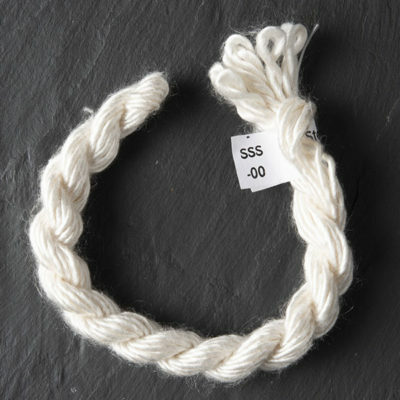 It is produced by rolling sari ribbon to form a round, cord like shape, and then securing it with an overlocker machine. 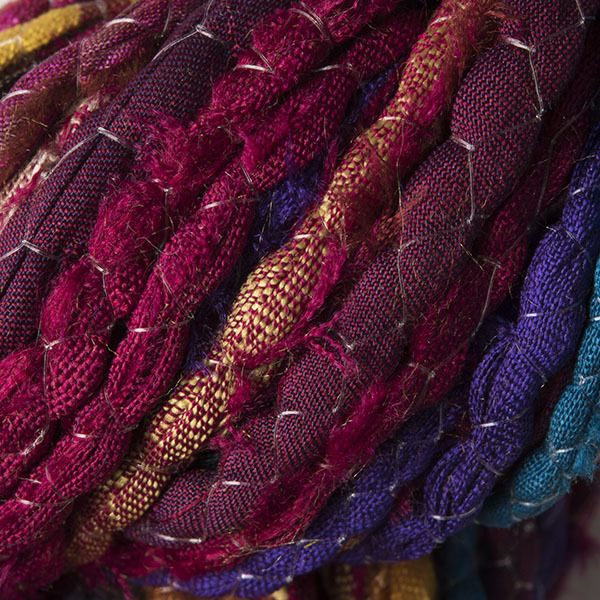 The cord has all the colour variations of a sari ribbon. 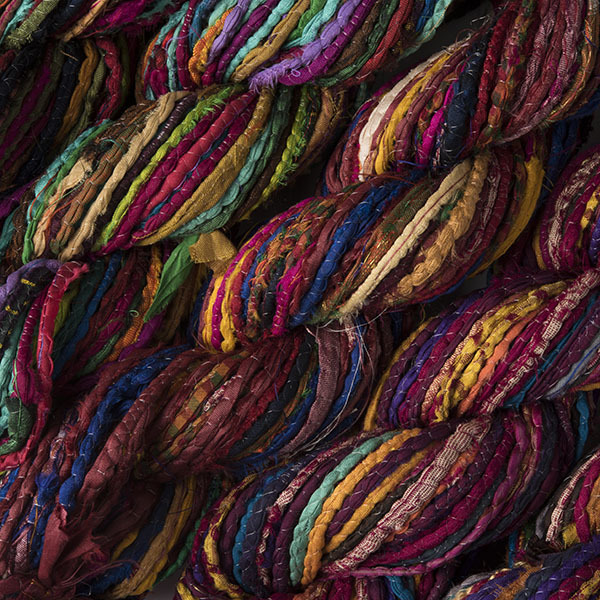 colours vary- every one is different. 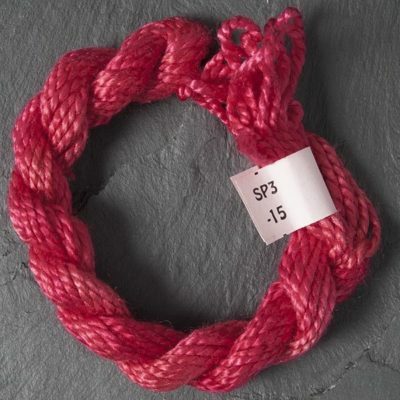 Weight of skein :100 gm.